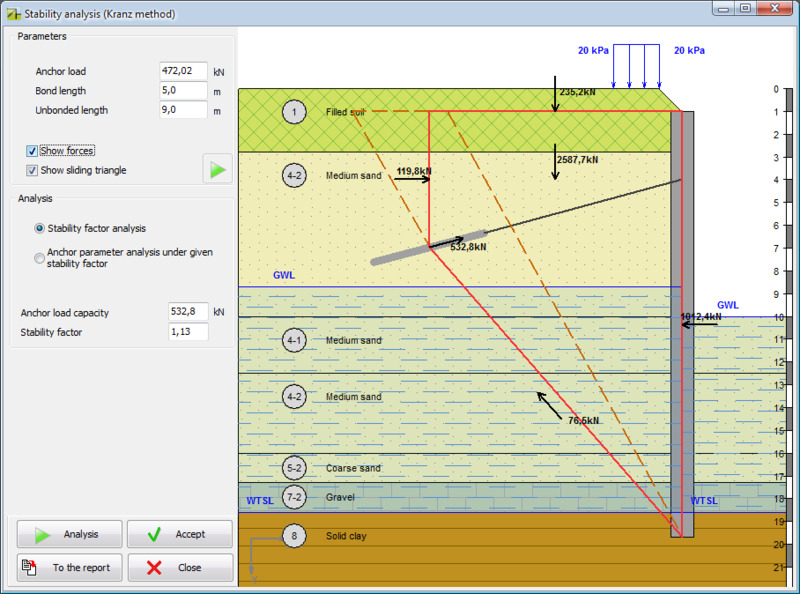 GeoWall program is designed to provide safety factor and stability calculation for wall constructions. The program is able to calculate the following types of constructions: slurry wall, boring piles and jet piles walls, sheet piles, pipes and I-beams. Wall calculation considers initial pressure in soil (soil lateral pressure at rest) and limit pressure (active and passive lateral pressure). 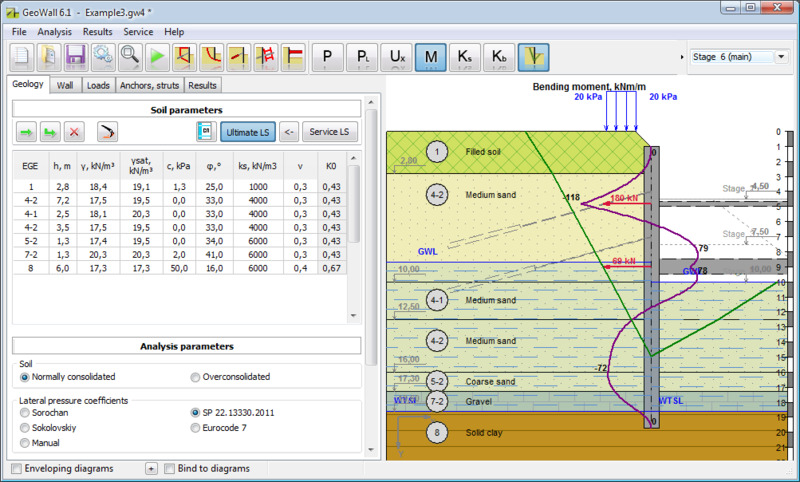 Soil lateral pressure coefficient is calculated automatically or may be set by user. The program has integrated reference books for the soil properties, pipes, I-beams, reinforcing cages and concrete. - MS Word graph report with calculation results. Module GeoWall.Stab – calculation of pit wall stability using different methods: tangential forces, Fellenius method, Bishop method, Morgenstern-Price method, Janbu method, Shahunyants method. 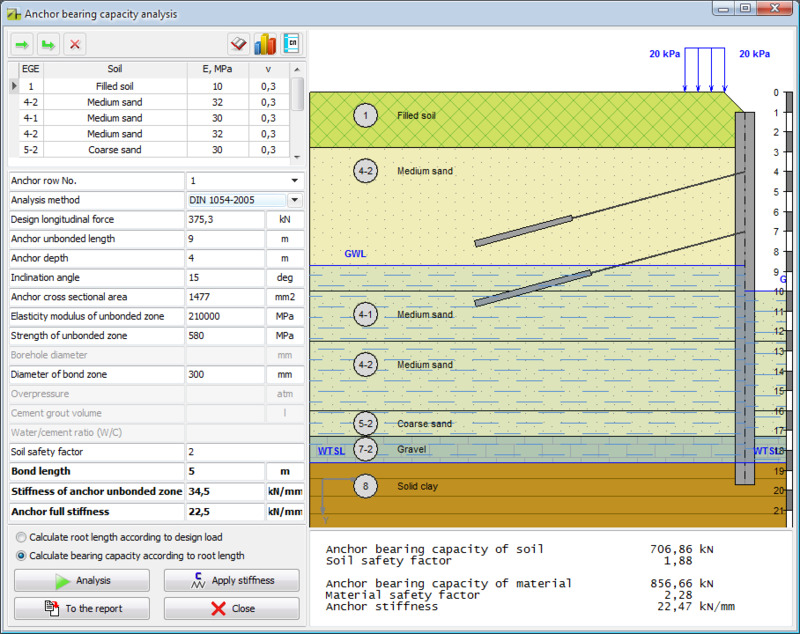 Module GeoWall.Anchor – calculation of anchor soil and material bearing capacity. 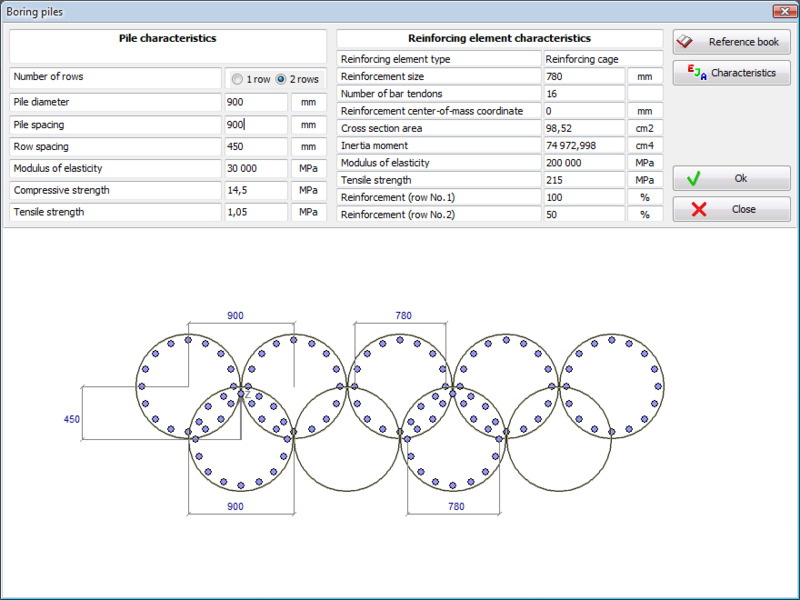 Analysis of anchor bearing capacity using different methods. 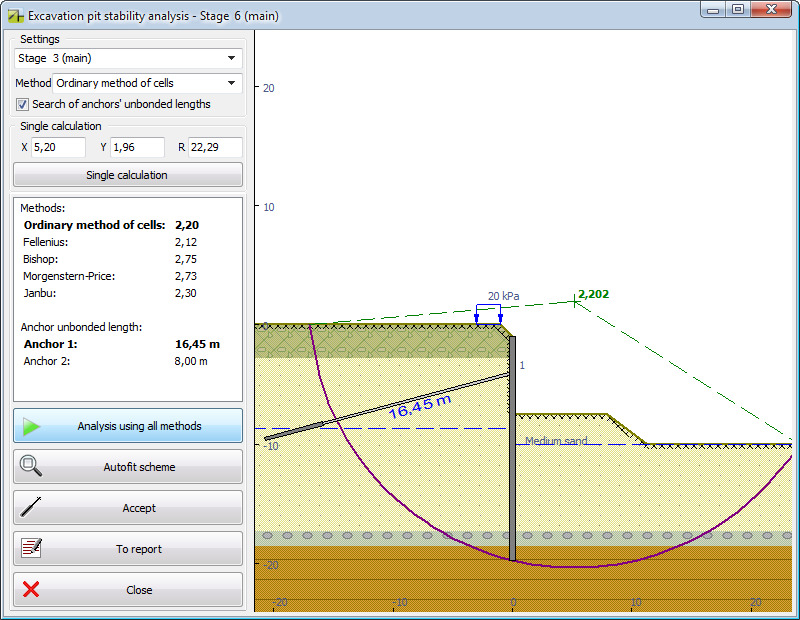 Module GeoWall.Kranz – calculation of wall stability with soil anchors using Kranz method. Module GeoWall.Beam – beam selection and calculation by bending moment and shear force. Module GeoWall.Strut – calculation of safety factor, limit slenderness ratio and stability for pipe strut.